Nuts and seeds are some of the most nutrient dense and delicious foods on earth. They are an important part of fertility nutrition, pregnancy nutrition, and beyond, because they supply the body with ample fiber, protein, minerals and essential fatty acids. What you may not know about nuts and seeds, is that they should be consumed and stored in a certain way to protect their nutritional content and your health. All nuts and seeds should be consumed in their raw form, or as close to raw as possible, to ensure all nutrients stay intact. Essential fatty acids and zinc are especially sensitive to heat and can be destroyed when heated. Before I get to that though, let’s learn about important key players in their nutritional profile. 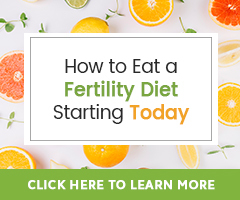 These are nutrients that impact fertility health. 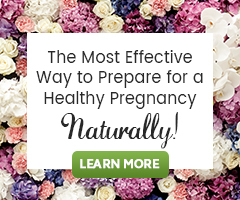 Nuts and Seeds are a Fertility Nutrition Powerhouse! 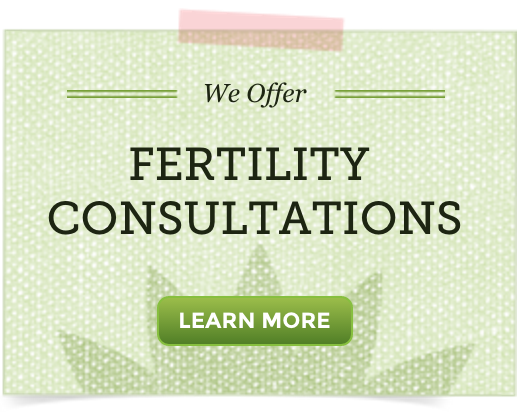 Seeds and nuts are packed with very important nutrients for fertility. They are literally the seed of life for a new plant, so they are packed with key ingredients to generate life. Four of the most important are proteins, omega- 3 essential fatty acids, zinc and vitamin E.
Proteins are required for building and repair of the body’s tissues. This includes a growing baby in its mother’s womb. The amino acids that make up protein are the building blocks of the body’s cells, including those of your baby. Protein is also an excellent source of energy. The most popular EFA, omega-3 supports healthy fertility by helping to regulate hormones, increase cervical mucous production, promote ovulation and improve the quality of the uterus by increasing the blood flow to the reproductive organs. In the case of seeds, “The seed hulls contain lignans, which are chemicals that help bind up excess hormones, while the seed oils contain essential fatty acids that provide the building blocks for making hormones,” shares Nicole Jardim, renowned Women’s Health & Functional Nutrition Coach. Omega-3s also helps to regulate inflammatory response, thereby aiding fertility issues such as endometriosis, PCOS, and uterine fibroids. Omega-3 is also important for proper sperm production. In pregnancy, omega-3 EFA can help support proper nervous system and brain development. Allergies to peanuts are serious. It was once suggested that when a pregnant woman consumes peanut products, the fetus may be exposed to peanut allergens. This was thought to mean that a developing baby may be at higher risk for developing a peanut allergy later in life. Many now argue that the research does not prove a mother’s consumption of peanuts influences whether her child will develop an allergy or not, according to Adam Fox paediatric allergist for Baby Centre UK. The concern is for parents with peanut allergy. It is suggested that pregnant mothers with a family history of peanut allergy on either side of the baby’s family, should avoid eating peanut products during pregnancy and breastfeeding. Be sure to discuss peanut consumption in pregnancy with your healthcare provider if you are concerned. Grind small fresh seeds like flax, chia, sesame to get the full benefits. Seeds are so small the body doesn’t digest them, they usually pass through the digestive tract. Try to avoid purchasing nuts and seeds that have been stored on the shelf. The oils go rancid quite quickly. Some people, including me, are sensitive to raw nuts. They can cause digestive upset in some people because they contain enzyme inhibitors. The digestive system contains digestive enzymes, but these enzyme inhibitors can prevent the body’s digestive enzymes from digesting nuts thoroughly. “Soaked raw nuts are far more digestible than plain raw nuts. The soaking process eliminates anti-nutrients and improves nutrition while still maintaining rawness” says Health and Nutrition Educator Sarah Pope. So what can be done? Sprouting or soaking them in salt water for a few hours and then properly drying them in a warm (not hot) oven or food dehydrator destroys the enzyme inhibitors, while unlocking nutrient potential. 5. Dry in a warm oven at 150F or in a food dehydrator for around 12 hours. 7. Turn and stir the nuts a few times during this time. 6. Once dry, remove from oven/dehydrator. Allow to cool and then store in an airtight container. Sprouting ensures you are getting the most nutrient dense nuts and seeds. Sprouts are the germinated seed of a plant. Nuts are seeds. Sprouts can be made from any seed of any edible plant. Sprouts are packed with nutrients. Any raw nut or seed, including beans can be sprouted and are extremely delicious. If you don’t have time to sprout, soak, and dry raw nuts, most health food stores and Nuts.com sell already soaked and dried nuts and nut butters. Need some ideas? Join us on Pinterest for recipes, diet tips and share your own suggestions! Olson, C. (2005) The Vegetarian Mother’s Cookbook, GoCo Publishing. Why do you recommend avoiding nut butters? The author suggests “Avoid roasted nut and seed and butters made from them”, not nut butters made at home from raw or sprouted fresh nuts and seeds. Roasting nuts can add anti-fertility saturated fats. There can be additives in commercial roasted nut butters like too much sodium, maltodextrin, etc. The fertility health supporting unsaturated fatty acids are damaged when exposed to high heat. Essentially roasting nuts impacts their nutritional value in such a way that makes them much less beneficial for fertility than raw nuts. Thank you for letting me know Paula! The link has been updated.